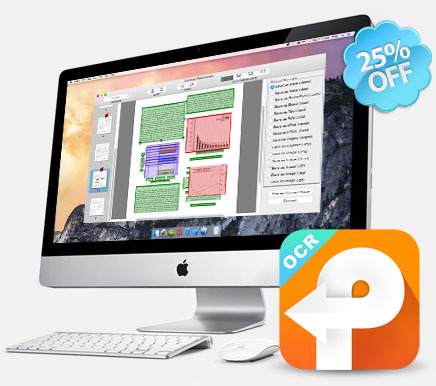 [prMac.com] Madelia, Minnesota - Cisdem, a developer of productivity and video applications for Mac, is delighted to announce a special Back-To-School discount with software bundles and up to 70% off discount. The limited-time offer expires August 31, 2015. "With lazy summer days coming to a close, it's time for students and teachers to prepare for a new school year," Says Karim Roumani, App Director of Cisdem. "Our software can really enhance academic productivity," We want to encourage Mac-using students and teachers to start the new school year off right by offering an extra discount during the Back-To-School season." Especially popular among educational users are PDFConverterOCR, a PDF OCR and converting tool that can be used for converting scanned images or PDF files into Word, Text, Excel, PPT, Keynote, Pages, Rtfd, ePub, HTML, and image etc. format for easy reusing. "I take a lot pictures of an instruction manuals, and do want to take words from it. Cisdem PDFConverterOCR saved me several hours of manual labor by converting scanned images to word in minutes. "Said Bradley Craven at West Virginia University." * Cisdem PDFConverterOCR is good for students and educators to turn image or scanned PDF files into Word, Text, Excel, PPT, Keynote, Pages, etc. format for easy reusing. * The two flagship product from Cisdem that can manage OS X Contacts, find and remove duplicate files. * The two most popular apps for students to convert PDF files to word documents, and remove password protection from PDF files. BetterUnarchiver (regular price: $14.99): Zip and unzip RAR, Zip, 7-zip, ISO, Udf, Wim, TAR, CHM, Hfs, Nsis, Udf files for quick, efficient, and secure transmission and storage. DocumentReader (regular price: $14.99): Read, print, and save WPD, WPS, XPS, OXPS, VISIO, PDF files on Mac. PDFCreator (regular price: $39.99): Create PDF from Word (.docx), PowerPoint (.pptx), EPUB, Text, RTFD, HTML, CHM, JPG, and PNG file formats. The Cisdem Back to School sale starts today, Monday, Aug. 4 at 12 a.m. PST and ends Wednesday, Aug. 6, at 11:59 p.m. PST. And available now through the Cisdem website. Cisdem provides productivity and business software that helps Mac users to get their job done faster. Cisdem products include top rated software centered on PDF Conversion, PDF Management, Data Recovery, and File Management. The company is dedicated in building highly efficient Mac software that make life easier and processes simpler. All Material and Software (C) Copyright 2015 Cisdem. All Rights Reserved. Apple, the Apple logo, Mac OS X and Macintosh are registered trademarks of Apple Inc. in the U.S. and/or other countries. Other trademarks and registered trademarks may be the property of their respective owners.